(4 out of 4 fishes) Great wayfinding! Nice signage from main road into parking lot and plenty of signs around the building and parish center. Plenty of menus. Only slightly confusing part is that there are two separate parking lots/drives for "drive-thru" orders and "dine-in". It is good that the drive-thru is separate, but you may be momentary confused if you are dining in. Ordering was very efficient. Digital ordering where they give you a printed slip of your order. Many fish fries have credit card payment options, but Sacred Heart's digital ordering is one of the most efficient we have seen. They also efficiently move you through the line with marking your order on plates. Styrofoam plates. Not sure if recycling was available. Bulk ketchup and cocktail sauce on each table. Excellent fried Cod! Some of the best Cod of the year. Moist and perfectly fried. The biggest compliment of a fish fry is that you want more Cod when you are done - and Sacred Heart meets this test. I wanted more Cod! Shrimp was also excellent. Sides includes fries, green beans, cole slaw, and pasta. Good selection of desserts. Baked tilapia an option. Pizza for kids. Good value. Lots of choices. 1-piece fish dinner for $8. 2-piece for $10.50. 2-piece plus four shrimp (Big Fish Supper!) for $14. Lots of choices for adding extra sides or meeting your budget. You can spend a lot, or spend fairly small amount. Drinks (water, tea, coffee) and dessert included. Beer (Budweiser products) available. 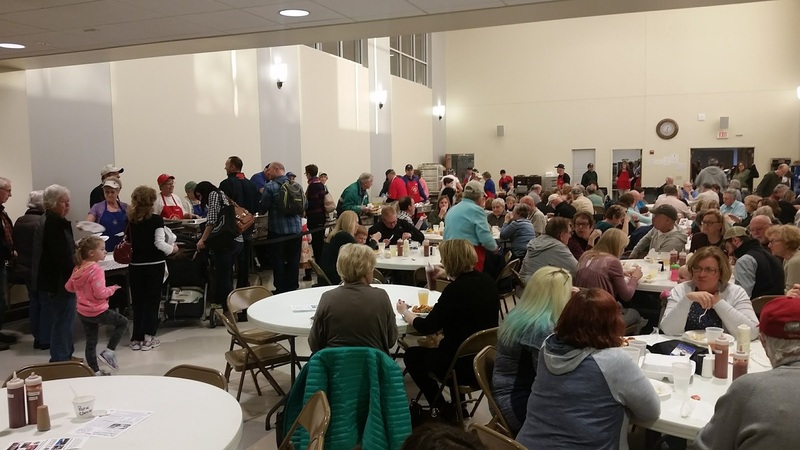 New(ish) parish center had a good buzz of crowd and people. Packed at 5:45, but only a short wait. 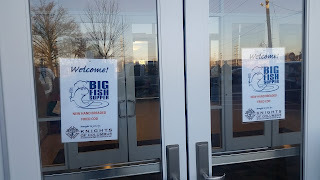 No "extras" like live music or TV's, but a good solid fish fry atmosphere. Friendly volunteers. Nice touch was volunteers coming around to refill drinks - you don't see that very often at a fish fry. 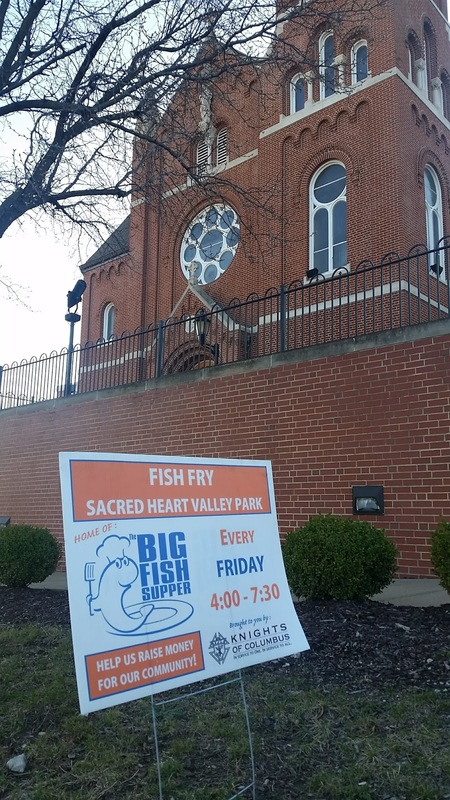 Sacred Heart is a great fish fry. You don't hear about them too often regionally, but by the packed crowd on the night we went, it was deservedly popular. Sacred Heart does so many things well. It starts with great food, especially the fried Cod. Some of the best Cod we've had this year. The other thing big thing that Sacred Heart does well is its ordering system. 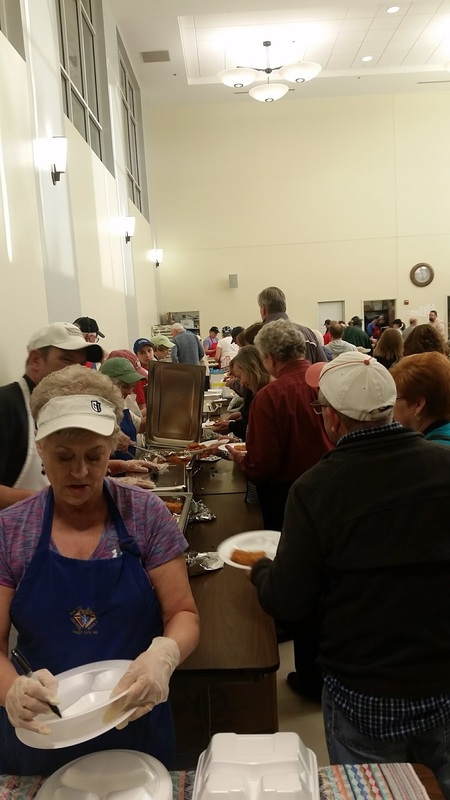 Many parishes will try to offer multiple options for ordering different size plates and extra sides, but they often don't pull it off well. There is often a disconnect between ordering and getting your food. Sacred Heart has a wide-range of options for ordering, but their digital ordering system was nearly flawless in efficiently moving you through the line. Great job! Can Sacred Heart be better? Sure - greening and atmosphere (music?) 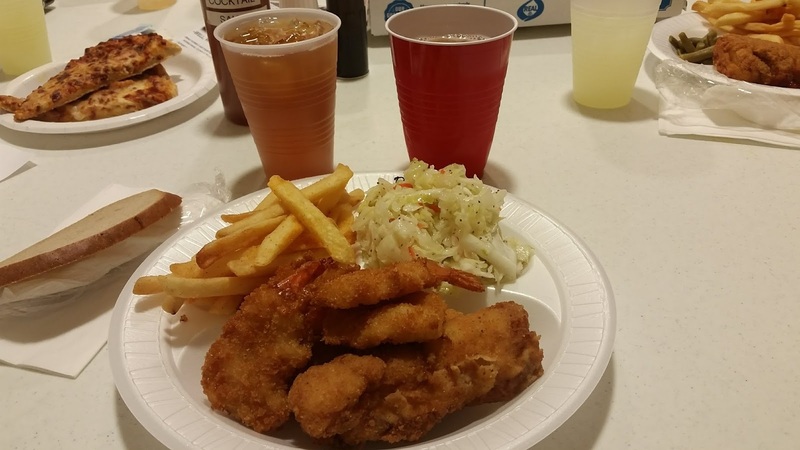 could be improved, but overall a great fish fry!